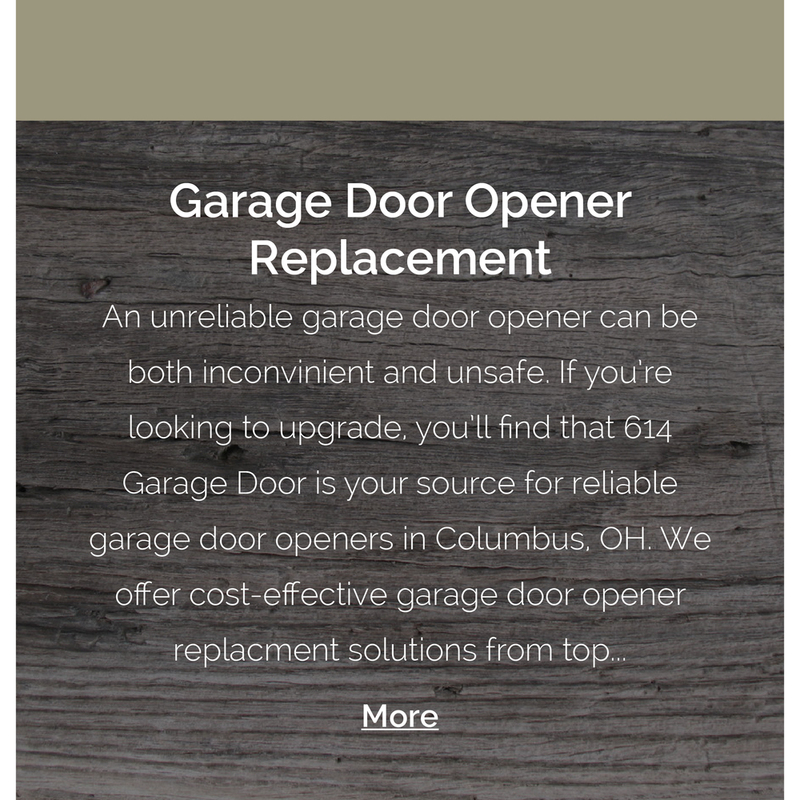 Based out of Columbus, Ohio, 614 Garage Door is the #1 garage door specialist in the area with qualified experts to repair or replace any garage door. Available 24/7, 365 days per year, we offer inspection, repair, and maintenance of your garage door system to ensure safe and proper functionality. Whether you own a small home or a large business, you can trust our professional team to provide quality products, excellent workmanship, and appointment times that work around your schedule. Your garage is something you use on a regular basis. If your current set of doors is not working properly and requires maintenance, it's time to invest in a better solution. 614 Garage Door is known for providing the best value for money, offering a variety of options for commercial and residential customers alike. When you choose 614 Garage Door, an expert member of our team will inspect your door and review any needed repairs or concerns with you. Offering prompt and honest service, we will openly discuss all costs before beginning any work.